Surely if I ask how many fans of the bath bombs most will raise your hand. 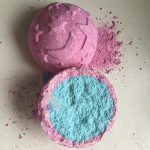 The first time I tried a bomb was thanks to Lush, I think it was the Space Girl and I loved that relaxing moment, the aroma and the color that in a second flooded my bathtub. Hey guys its Happy and today I’m gonna be showing you how to make bath bombs without citric acid. 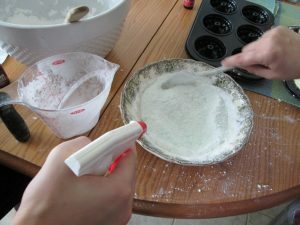 So these are the things that you will need baking soda, a fork measuring cups, plastic bowls and mixing bowl, food coloring, a spoon and some lemons. Before we start to check out my complete guide to making clay at home and slime with laundry detergent. 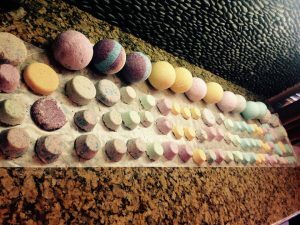 Looking for awesome bath bomb recipe without citric acid? 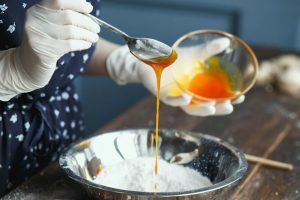 The first thing that you want to do is put your baking soda in your mixing bowl make sure you mix it around so there are no crumbs in your bath bombs. 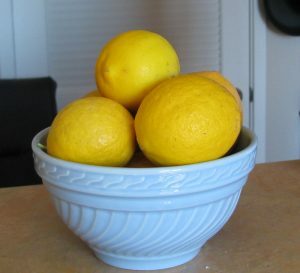 The second step is to cut your lemon a half so it’s easier to squeeze and make sure when you are squeezing your lemon into the baking soda that you do it slowly so that it doesn’t explode right away. Because it’s not going to work when you put it in the water make sure as you’re squeezing the lemon into the baking soda that you mix it because you don’t want it to explode and then not be able to use it in the bath. I put about one or fourth of a cup in each plastic bowl so that I can have huge bath bombs. Now I will start to add the food coloring in the first one I did Green, yellow and the next one I did pink then I did blue in the last one. So I wanted to stir it up and make sure you only do like three drops or it might be too like staining and it could stay in your bathtub so make sure you don’t do too many drops of food coloring you can’t really see it. Now I’m picks mixing up pixie mixing the pink one and it’s turned out really vibrant so it’s going to be really pretty in the bathtub. Now I’m going to start adding the green and the blue and the purple all together and it’s going to make a really pretty rainbow Beth and I’m super excited to see what it looks like. 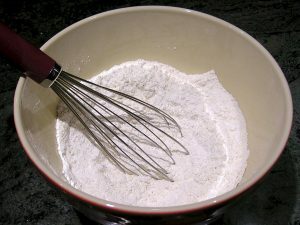 Slowly add the all ingredients and Supplies mixture to the dry mix, one small spoon at a time. When well mixed, make sure you put the bath bombs in the freezer to use it. I would put it in the freezer for about two hours at least because it needs to be hard if so that you can just take it out of the mold. I’m using a bowl for the mold because I just like the shape of it and it was easiest for me. Work quickly so as not to let the bath bomb mixtures dry out. So here I am taking out bath bombs that I put in the freezer a few hours ago and I think it turned out pretty cool it had yellow blue and purple. Now I’m going to drop it into the sink and see what it looks like. Oh! my gosh it’s so pretty it has like bubbles fizzing up out of it and then it looks like that rainbow filter on snap chat it’s so cool when I mixed it around it kind of looked like a dark green at the ending but if you guys like this article give it a thumbs up and share on your social profile. In the video is well explained the process, but if you have any doubt leave me a comment on this entry or send me an email to contact us. 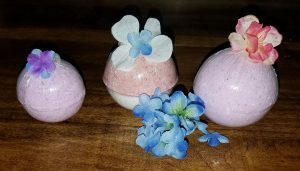 Now you know how to make bath bombs without citric acid: it is a simple and fast formula that allows you to create your own pumps so that you can elaborate them according to your tastes and the needs of your skin. The bathrooms in your home will now be an even greater pleasure because, with a little water and your favorite homemade pump, you can set up your home spa in a few minutes, which takes the time to fill your bathtub. 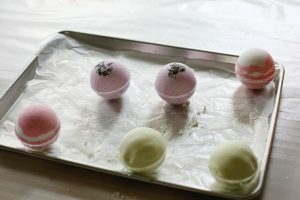 Hope you enjoy my tutorial on how to make bath bombs without citric acid.